A new study by researchers at the Lillehei Heart Institute, University of Minnesota reveals that the Mesp1 gene, previously thought to only be involved in the production of heart tissue, can be used to produce blood and muscle forming stem cells if manipulated properly. The Mesp1 gene is of great interest to cardiac researchers, as many studies have exhibited its ability to guide stem cells into becoming heart cells. "Previous research indicated that this gene was the master regulator for development of the heart, and that its activity prevented the differentiation of other cell types" said Michael Kyba, professor at the University of Minnesota and one of the study's authors. The main purpose of the study was to provide a better understanding at what the Mesp1 gene does during different points in time. In the end, the research revealed that Mesp1 is much more than a "master regulator" for heart tissue formation. Specifically, the scientists discovered that by altering the feeder layer and turning Mesp1 on and off at different periods of time they could induce stem cells to differentiate into hematopoietic or muscle-forming stem cells as well. "Our work reveals that this gene acts differently, and that it plays a role in the development of blood and skeletal muscle as well. The outcome depends on the chemical signals that cells expressing this factor sense in their environment. We are amazed at what a single gene can do. 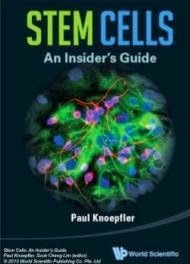 By understanding what Mesp1 does, we are more likely to make different types of cells from stem cells more efficiently." said leading author, Sunny Chan. The study also explains why in the past, some researchers had failed to form heart tissue using the Mesp1 gene. "Our findings bring some conflicting findings about Mesp1 together. Some previous studies reported Mesp1 could not make heart cells in certain contexts. We now know why." said Chan. The study brings us one step closer to using stem cell technology for therapeutic purposes, Chan added.